Can I view Deals that have been updated within a certain date range? Yes, you can use the filters on the Deals page to search for deals updated within a particular date range. Use the "Last Status Date" filter to set the start and end dates for your search. 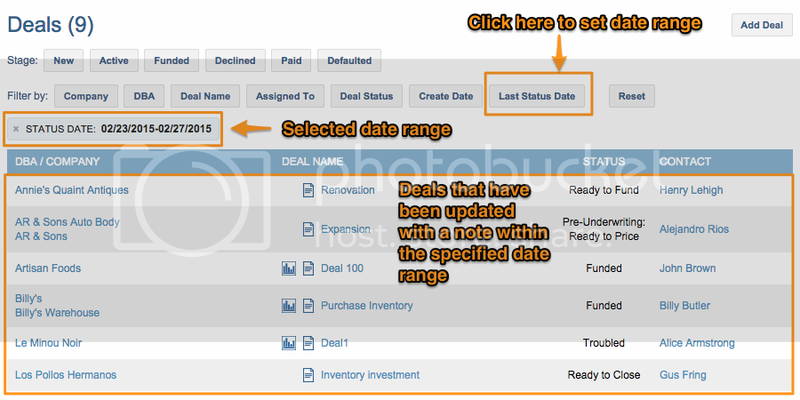 Using this date range, the filters will display all the deals that have been last updated with a status note.